Experience fine style, comfort and luxury with Hotel Naidus. From its beautiful and ornate reception desk to its grand hallways and stunning rooms, you can't help but be awed by the attention to detail and perfection that this hotel represents. Its interior decor is rich with a blend of soothing and sober walls along with stunning wooden frames, trims and beautiful wall paddings. Vibrant coloured cushions and drapes adds a sense of luxury to a grand stay. 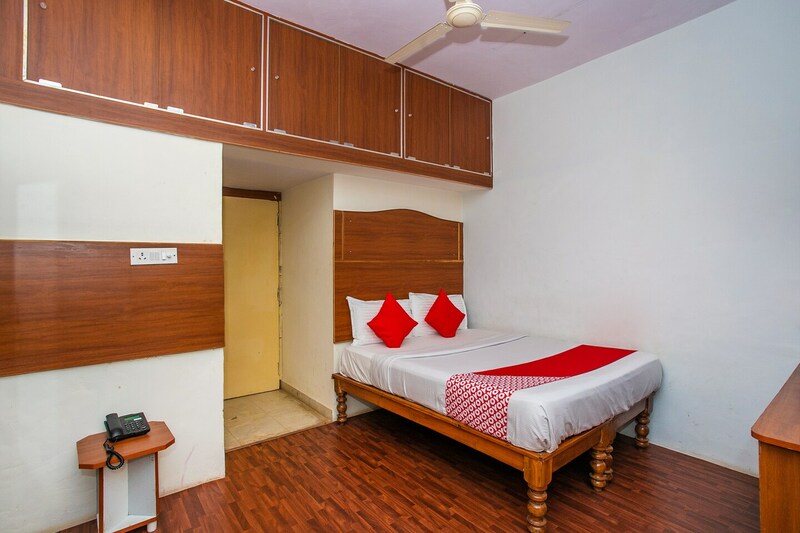 The hotel has high standards for comfort and luxury which far exceeds with amenities like free Wi-Fi and power backup, an in-house restaurant and card payment making sure that your stay is wrapped in luxury and fine style.